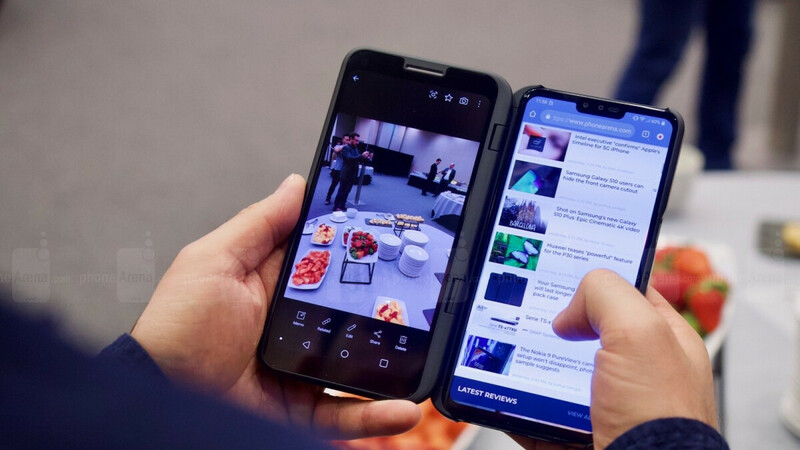 Samsung and Huawei believe foldable smartphones are ready for consumers but LG appears to be taking a slightly more reserved approach. The company is yet to confirm the chosen form factor, the phone’s specifications, or even its launch timeframe. But now one branding detail has been revealed. Speaking to AndroidHeadlines, LG’s Vice President of Marketing, Frank Lee, confirmed that any kind of foldable or rollable device from the company will most likely be released as part of the LG V series at first. The reason being that this lineup focuses more on introducing new features to consumers before taking them mainstream with the LG G series. An example of this is the LG V50 ThinQ. While not the company’s next mainstream flagship – that title belongs to the LG G8 ThinQ – it is a premium device that sports a triple-camera setup on the rear and, more importantly, 5G connectivity. Two features that aren’t widely available on the company’s mainstream option. While LG may not have its own device prepared just yet, foldable smartphones are dominating the headlines lately and, as a result, capturing the interests of consumers. Because of this, LG has created an accessory for the LG V50 ThinQ dubbed Dual Screen. As its name suggests, the accessory adds a second display to the flagship, essentially offering a foldable experience on a budget. Obviously, this can’t be directly compared to the likes of the Galaxy Fold or Huawei Mate X but it should interest consumers who aren’t willing to spend $2000 on a smartphone. Actually current website is somewhat chaotic. Heavy image orientated large thumbnails unnecessarally scatter focus but little anchors it. Also, what happened to notifications? Smh this folding nonsense is a gimmick that needs to be killed asap. I tolerated the notch to some extent, but this is just ridiculous. it is practical. this is a first gen tech and will mature in the future. why would you kill tech when you dont even know the full potential? you dont want technology to evolve and make it better? people said screens over 320p is overkill as well and look at it now. "I tolerated the notch to some extent, but this is just ridiculous." Oh no, OEMs should feel blessed that you tolerated their notchss, and didn't take any serious actions towards them because of it. You always speak as if the tech world revolves around you. And your comment is super, like really super ironic when just few days ago you were nagging and claiming that smartphones haven't evolved one bit for the past 5 years. So not only you fail to acknowledge the evolution of smartphones, but you're also against any further attempts to revolutionize them. Make up your damn mind. If only I can log in with 2 separate Google accounts on these 2 screens. It need to be affordable otherwise i will j7st be techsavy toys.